Hotel Hollywood Magical Home, Hollywood, United States of America - Lowest Rate Guaranteed! 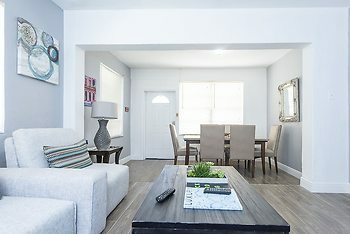 With a stay at this vacation home, you'll be centrally located in Hollywood, within a 10-minute drive of Gulfstream Park Racing and Casino and Hollywood Beach. This vacation home is 3.1 mi (5 km) from Aventura Mall and 7.8 mi (12.6 km) from Port Everglades.